Note: this is not the address of the race. 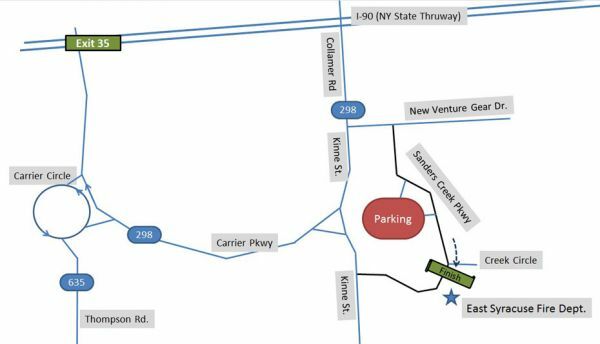 The address of the race is East Syracuse Fire Department Station #2, 148 Sanders Creek Parkway in East Syracuse. Parking is in the Bank of New York rear parking lots. During the race, follow all course markings and instructions provided by DeWitt Police Department and course volunteers to keep you safe.